Sturgis, South Dakota – The Largest Music Festival in motorcycling announced today that Robby Krieger, legendary guitarist of the Doors joins the already remarkable lineup performing at the Sturgis Buffalo Chip in August during the 2013 Sturgis motorcycle rally. Robby Krieger will perform back to back with Sublime with Rome, where fans can expect to hear long time favorites like ”Light My Fire,” and more. Robby joins a lineup of artists that will blast the Sturgis Buffalo music festival every night of the rally such as Kid Rock, The Doobie Brothers, ZZ Top, Rob Zombie, Halestorm, Toby Keith, Lynyrd Skynyrd, Brantley Gilbert, Queensryche, The Cult, Buckcherry, Alien Ant Farm, Fuel, Pop Evil, and many other bands who are committed to making the 2013 Sturgis Buffalo Chip music festival a must attend. Additional concert information and campground admission passes are available at www.BuffaloChip.Com. Krieger was voted one of top 100 guitarists of all time by Rolling Stone and is known for writing many of the Door’s classic songs including “This is the End” and “LA Woman” along with others making his career and impact on the world of rock one for the record books. Fans can look forward to singing along with Classic Doors songs when the famous Door’s guitarist and legendary song writer Robby Krieger takes the stage Friday August 9th at the Sturgis Buffalo Chip. The Robby Krieger Concerts and all other concerts are free with camping and campground admission passes may be purchased for the entire festival or any portion thereof. Passes also grant guests access to the Bikini Beach swim paradise, 25 bars, thrilling exhibits, and outrageous events. 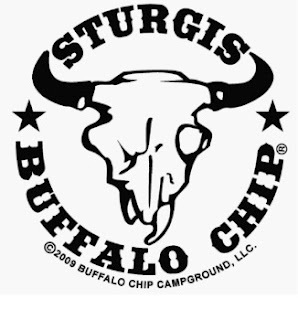 The annual Sturgis Buffalo Chip music festival runs July 29 through Aug. 11, 2013. More details are available at www.BuffaloChip.com or by calling (605) 347-9000.